Note added 3 August 2010: The exoplanet–lithium link debate continues with a new result by Baumann et al. 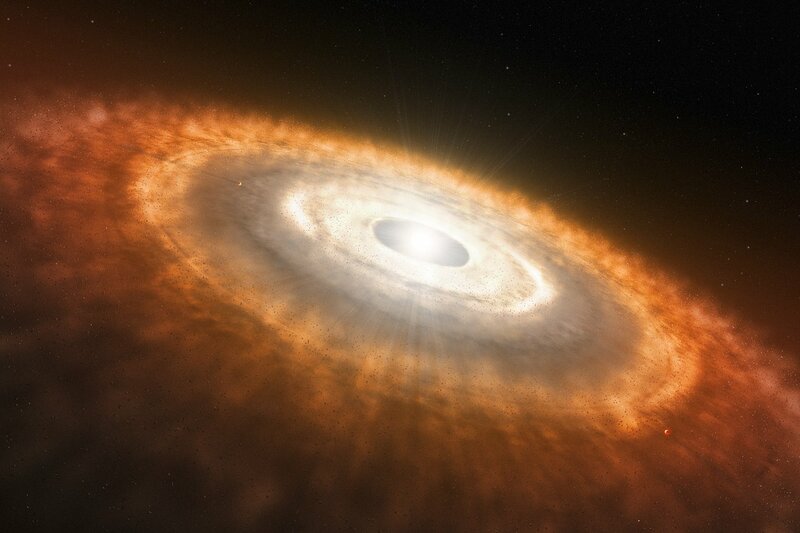 (2010), who argue that the levels of lithium in these Sun-like stars can be explained by an age-related effect, and furthermore that the lithium levels do not behave differently in stars with known planets. Read more in the ESO announcement ann1046. This research was presented in a paper that appears in the 12 November 2009 issue of Nature (Enhanced lithium depletion in Sun-like stars with orbiting planets, by G. Israelian et al.). The team is composed of Garik Israelian, Elisa Delgado Mena, Carolina Domínguez Cerdeña, and Rafael Rebolo (Instituto de Astrofisíca de Canarias, La Laguna, Tenerife, Spain), Nuno Santos and Sergio Sousa (Centro de Astrofisica, Universidade de Porto, Portugal), Michel Mayor and Stéphane Udry (Observatoire de Genève, Switzerland), and Sofia Randich (INAF, Osservatorio di Arcetri, Firenze, Italy).